At 95, Holocaust survivor leads Jewish protest against hate in Berkeley's streets – J.
Ben Stern was flanked by three rabbis as he took the microphone Sunday in Berkeley and asked thousands of protesters a single question: Why had he survived the Holocaust when most of his family and friends did not? The 95-year-old Stern, who still has the number 129592 tattooed on his arm from Auschwitz, quickly gave people attending the “Bay Area Rally Against Hate” the answer: He survived the horrors of 70 years ago so he could tell others what the Nazis did. Stern was at the helm of a contingent of Bay Area Jewish synagogues and social justice organizations that marched through Berkeley to the Aug. 27 rally, which was called by an array of local organizations as a counterprotest to a white supremacist rally planned a few blocks away at Martin Luther King Jr. Civic Center Park. It turned out they had little to counter. On Friday, organizers effectively cancelled what had been billed as the “No to Marxism in America” rally. A few supporters showed up anyway, some of them wearing red “Make America Great Again” caps, but they were quickly surrounded by police and overwhelmed by hundreds of people shouting their opposition to racism and white supremacy. 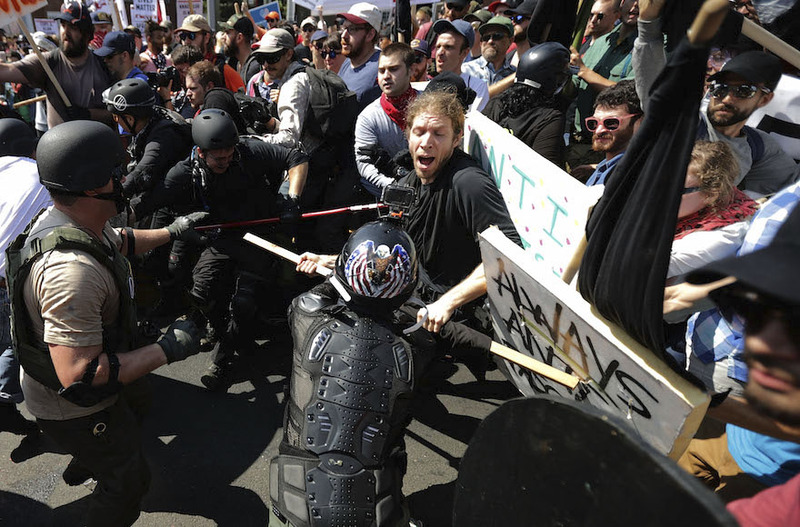 There were a few skirmishes and Berkeley police said by mid-afternoon there had been more than a dozen arrests, but the “No Marxism” rally supporters were greatly outnumbered by counterprotesters and drowned out by chants. Unlike two weeks ago in Charlottesville, Virginia — where a white nationalist “Unite the Right” march led to violent clashes with counterprotesters, and the death of a young woman — there were no swastikas or anti-Semitic signs visible in Berkeley today. 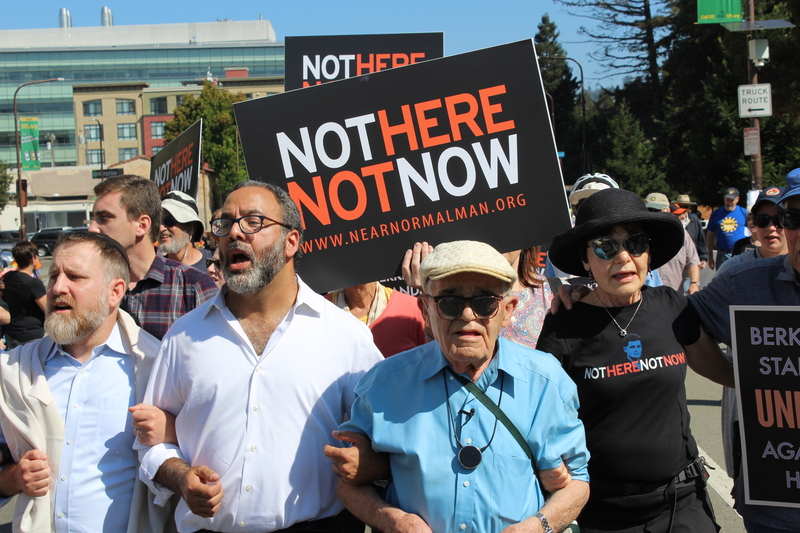 The 15-minute march to the counter-rally was led by Stern and Rabbis Menachem Creditor of Berkeley’s Netivot Shalom, Yonatan Cohen of Congregation Beth Israel in Berkeley and Julie Saxe-Taller, recently of San Francisco’s Congregation Sherith Israel. Other Jewish groups participating included IfNotNow and Bend the Arc, as well as one marcher carrying a sign promoting “Berkeley’s Real Marxists” above a picture of Chico, Harpo and Groucho — the Marx brothers of comedy lore. 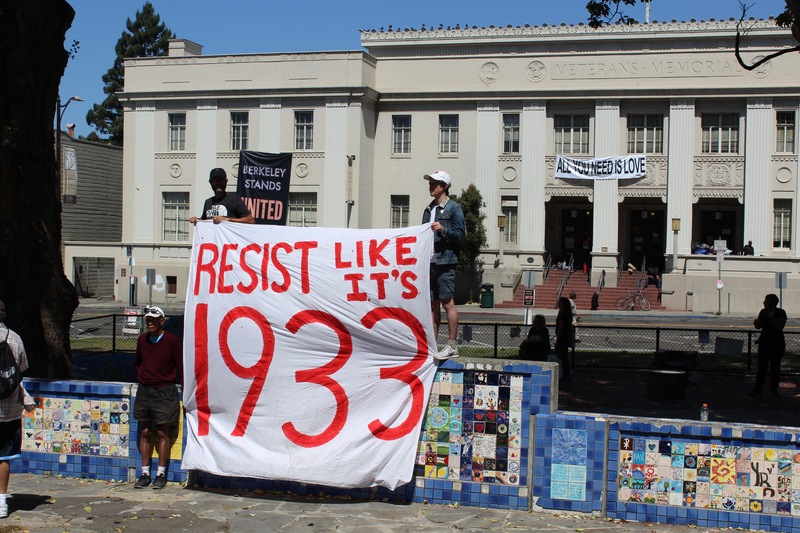 At the rally, which organizers and police said attracted about 2,000 to 3,000 people to the streets bordering UC Berkeley’s campus, signs attacked President Donald Trump and supported immigrants’ rights as well as the Black Lives Matter movement. 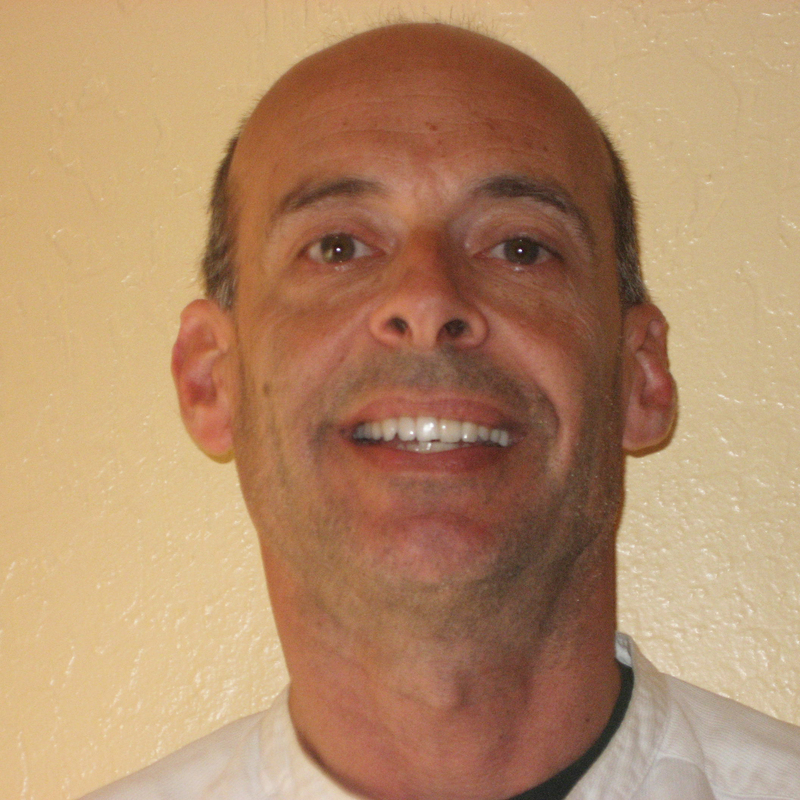 Saxe-Taller’s address to the crowd was accompanied by her husband — Michael Saxe-Taller, executive director of Piedmont’s Kehilla Community Synagogue — sounding the shofar. She was followed at the microphone by Stern, who grew up in a large Orthodox family in a pre-war Polish village, and survived the Warsaw Ghetto, Auschwitz-Birkenau and the Nazi-ordered death march out of Buchenwald as the Allies approached in April 1945. 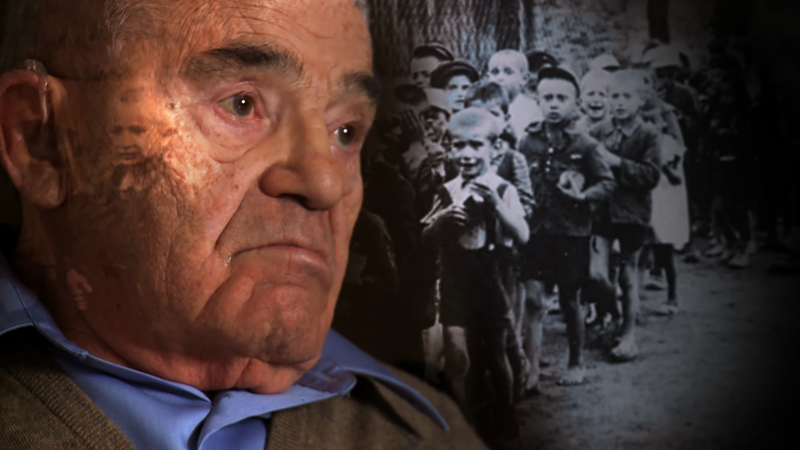 He faced anti-Jewish hate again in the 1970s, when he was a leader in the legal battles to prevent neo-Nazis from marching in 1977 in Skokie, Illinois, a heavily Jewish suburb of Chicago. This week, he was determined not to let what he described as neo-Nazis go unchallenged in Berkeley. A planned Patriot Prayer right-wing rally on Aug. 26 at San Francisco’s Crissy Field was also called off, leaving thousands of counterprotesters in that city with no one to protest against. Nevertheless, rabbis and Jewish activists joined San Francisco Mayor Ed Lee and other elected officials that day for an anti-hate rally on the steps of City Hall, and more than 2,000 people attended anti-hate gatherings that evening in local synagogues. Earlier in the week, opinion was split among Jewish leaders as to the correct way to respond to the two scheduled right-wing rallies. While some urged direct action, the path taken by the “Bay Area Rally Against Hate,” others warned that such efforts would play into rally organizers’ aims of instigating violence and generating media attention. Among those groups calling for Bay Area Jews to attend peaceful gatherings far from the rallies were the Jewish Community Relations Council, American Jewish Committee, Anti-Defamation League and the East Bay and S.F.-based Federations. They encouraged people to show up for the synagogue events on Friday night, which promoted themes of inclusion, diversity and interfaith cooperation. For Stern, staying home was not an option.